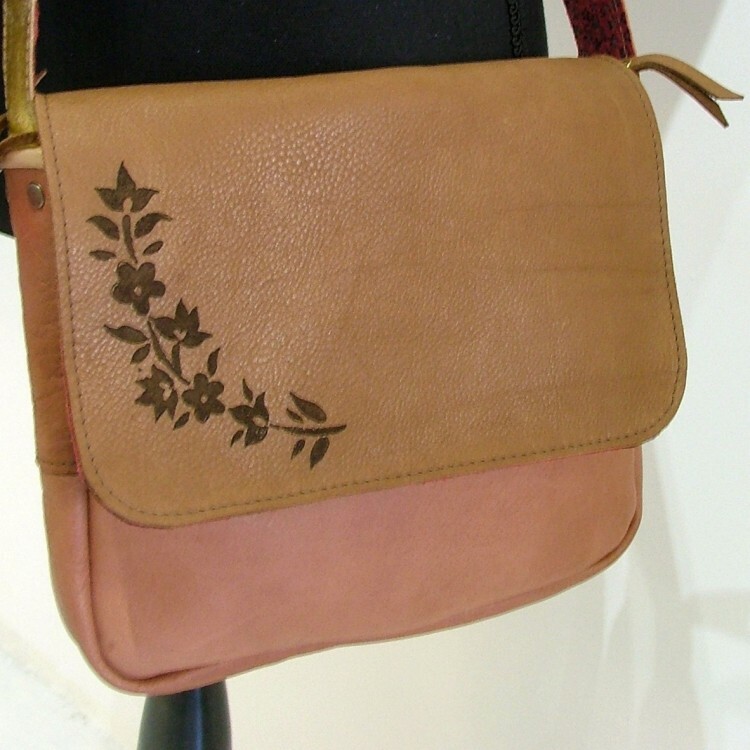 A small body cross shoulder/shoulder bag, with adjustable strap, made of old rose colour leather. Combined with khaki leather with a flowery design on top, using laser-cut technique. Flap closure with red flowery pattern leather. Mobile pocket inside. The use of gold strap make this simple bag stand out.